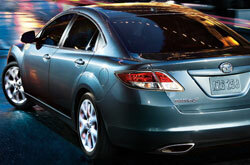 Reliable Mazda your source for 2013 Mazda6 research and reviews. Reliable Mazda stands out from the crowd with products and services created to assist you in your search.These well-written reviews will help you do just that. Every passage comes loaded with practical information, specs and research - just what you need to make cognizant decisions on your next Mazda Mazda6 purchase. Reliable Mazda is always available 7 days a week to answer questions you have. Do not hesitate to call us to speak with our Mazda6 specialists. When comparing the 2013 Mazda Mazda6 side-by-side with the 2013 Nissan Altima, Honda Accord, Ford Fusion and the Toyota Camry, and you'll realize that the Mazda6 ranks above those autos in gobs aspects. Catch a glimpse of just a few of the reasons below. 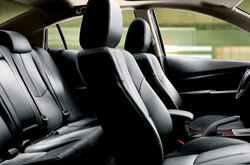 See inside the 2013 Mazda Mazda6 - view video here! Your Mazda should be treated with the utmost respect - that means Mazda factory- trained Mazda6 technicians, authentic Mazda parts, and the peace of mind that comes from a 12-month service dealer warranty. Reliable Mazda service and auto repair in Springfield is a click away! Your Mazda will stay in premium shape with a hand from the well-versed auto repair craftsmen at Reliable Mazda's service unit. Our techs can tackle a multitude of jobs - from more time consuming stuff like Mazda transmission repair to less time consuming endeavors like fuel filter and brake pad replacement. Reliable Mazda is your best bet in Springfield for quick, professional Mazda service and regularly scheduled maintenance. Get insane savings - before you come to our repair unit, bring a coupon. Click the link under this paragraph!